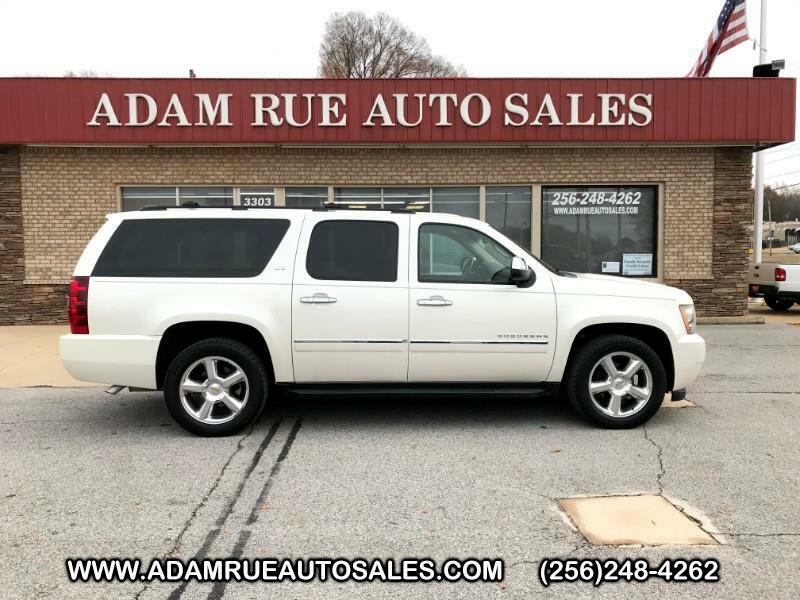 Adam Rue Auto Sales has a wide selection of exceptional pre-owned vehicles to choose from, including this 2011 Chevrolet Suburban. Want more room? Want more style? This Chevrolet Suburban is the vehicle for you. Indulge yourself with one of the most highly crafted, most luxurious automobiles available today. The look is unmistakably Chevrolet, the smooth contours and cutting-edge technology of this Chevrolet Suburban LTZ will definitely turn heads. More information about the 2011 Chevrolet Suburban: Chevrolet Tahoe Hybrid models for 2011 get the latest Gen 9.0 version of OnStar for better voice recognition. Head restraints for the second row have been revised. On 2011 Tahoe and Suburban models, a better trailer brake controller is introduced for 2011 and new chrome-clad wheels are now available. Across all Tahoe, Tahoe Hybrid and Suburban model lines, Mocha Steel Metallic is a new exterior color, while Steel Green Metallic and Ice Blue Metallic are also added to the non-hybrid Tahoe and Suburban. Interesting features of this model are quiet, refined interior, Towing and hauling ability, available luxury features, hybrid drivetrain available, ride and handling, and available seating for up to nine Thank you for considering Adam Rue Auto Sales! We are proud you are here. Our dealership is focused on making your buying experience as pleasurable as possible. We understand how difficult it can be finding the perfect vehicle. Our staff has been in this business many years and are trained to be professional and courteous while assisting you. After all, you are the reason we are here. We want to be a little different than what you will find down the street. We stock quality vehicles and look forward to treating you like family.